Reality is hard enough to face when your spouse is diagnosed with terminal cancer. But picking up the pieces of a shattered life after your spouse has died seems impossibleexcept for God. Lynn MacKenzie has trekked down both paths. When her husband, Bruce, was diagnosed with and then eventually succumbed to cancer, the pieces of their picture perfect life flew apart. But God was her refuge and strength, a very present help in time of trouble. MacKenzie prayed that God would give her eyes to see His hand and feel His presence throughout Bruce's illness. In response, God helped her to look beyond her suffering and experience His immense mercy and unconditional love. 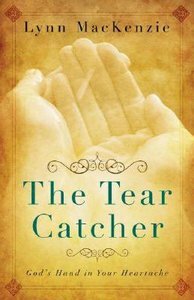 Lynn MacKenzie invites you to come into her world in The Tear Catcher, as she chronicles her husband's journey through cancer and her own experiences from heartache to grace; from unspeakable fear and grief, to abundant peace and joy. Lynn MacKenzie is an author, trainer, speaker, and mother. She has an Interdepartmental Speech Communications degree from St. Cloud State University. A previous school administrator, school board member, and branch manager for Manpower, Inc. in central Minnesota, she has also spent ten years in Bible Study Fellowship International in a variety of positions. She continues to serve as a Stephen Leader and choir member at her church.